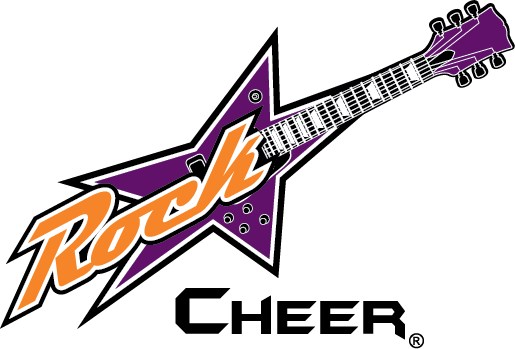 Here at Rockstar Cheer & Dance, our cheer classes are TOP NOTCH! Kids and teens will learn the all important foundations of cheer and then matriculate through our full cheer program. The classes are an awesome workout every single time. As the members get skill after skill, their self confidence and self esteem skyrocket. All classes begin with a full-body warm-up, then strength and conditioning exercises and of course, they provide well planned out technical instruction and learning drills in a safe and fun environment. Enrollment in all classes is based on skill level, to ensure we keep all athletes safe and progressing forward. All classes are taught / coached by safety certified staff members. 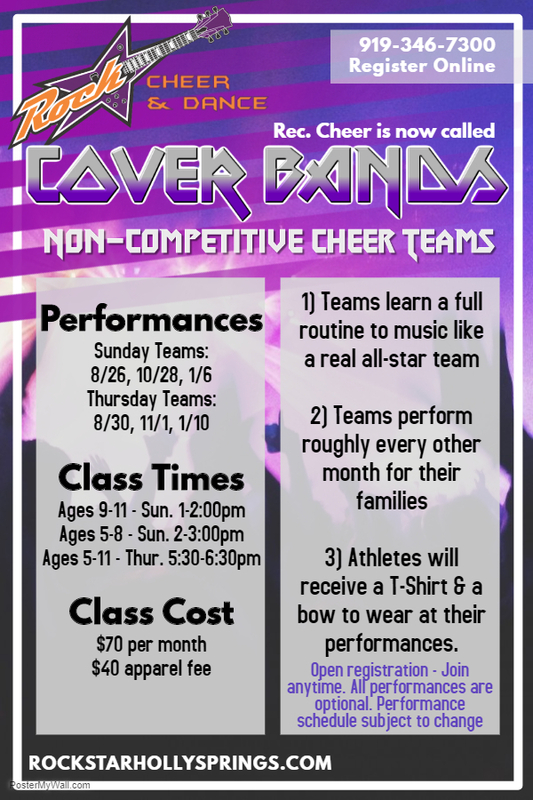 Join the Coverbands and learn entry level cheer skills; including basic tumbling, cheers, chants, dances and jumps. Emphasis is placed on correct technique and form; and building the proper foundation for safety and advancement. Prepare for joining a team or just for the fun of it! We have performances for the parents every two months.